The countdown to Mother’s Day is on… and it’s coming around pretty quickly!! This year I was a bit stuck for inspiration as it hasn’t been long since Christmas and my mum’s birthday! I really felt like she had everything! So we decided we’d go have a wander around Rushden Lakes to get some ideas and have a cheeky lunch date together. Shopping dates with mum are always fun, we always end up giggling over something funny!! 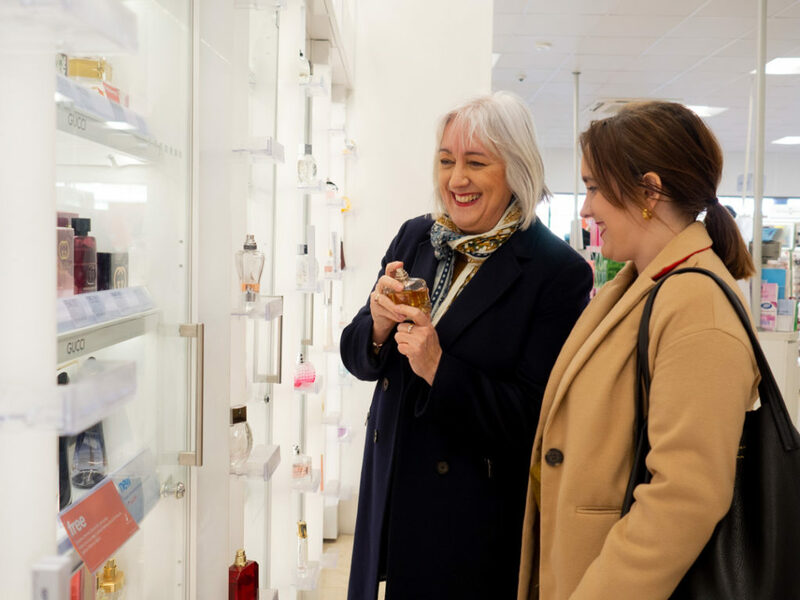 We started off in Boots looking at perfumes as they always make a perfect gift! My mum picked out two that she loved which were Calvin Klein Euphoria and Emporio Armani Stronger With You — so these were the first ideas for presents! We both came out smelling pretty good after spraying a ton of different ones! Next we headed into Fat Face as it looked like they had a lot more of their spring collection in, which reminded me that last year she was after a skirt but couldn’t find one all year. She ended up finding the perfect skirt for spring/summer! 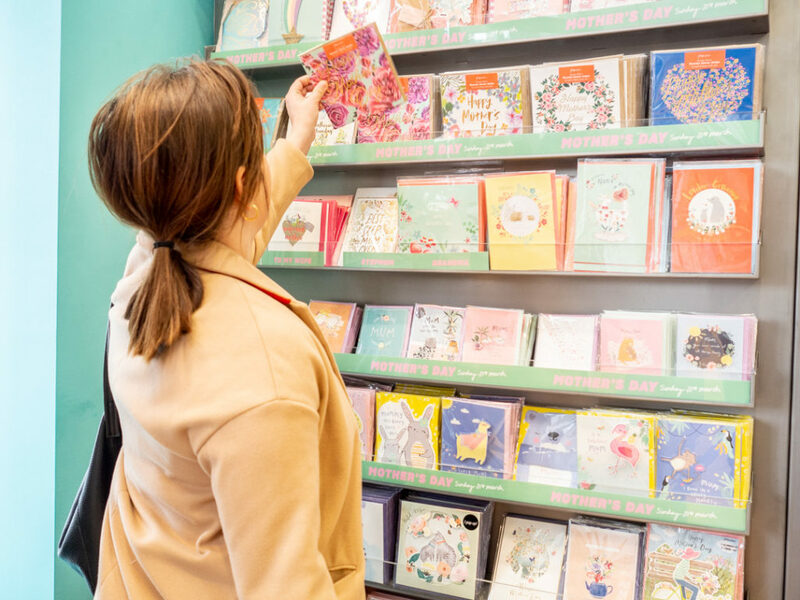 Fat Face has a whole stand of perfect gifts like notebooks, travel mugs and different books, something for everyone’s budget, so if you’re a bit stuck for ideas definitely check them out! We still had a bit of budget left over and the next shop on our list was L’Occitane (we kinda just made our way up the row of shops — if you’ve been before you’ll know what I mean!). We sprayed more perfume and tested out plenty of hand creams and body creams! L’Occitane make the best scented products ever and they always leave your skin feeling so soft. Mum’s favourite was the Shea Ultra Rich Body Cream (£34.99), which she admitted she would never “just treat herself” to, as it’s a more expensive body cream. 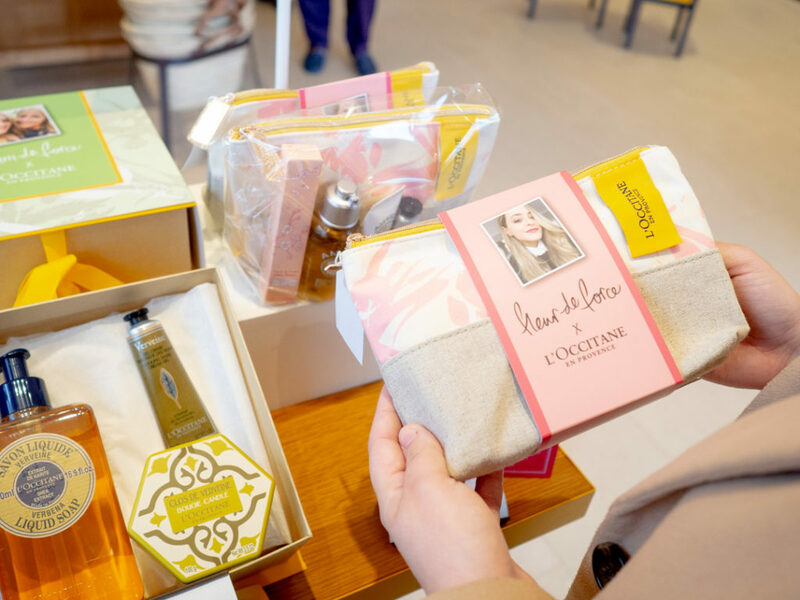 We also spotted that Fleur de Force has teamed up with L’Occitane for a Mother’s Day gift set of some of her favourite products. I had my eyes on it for myself but then I remembered I wasn’t here shopping for myself! Although I did sneak a few bits of shopping in on the trip as I couldn’t resist! Next we went into Jigsaw which had some stunning earrings for £25–30 which would make such a nice gift if you’re looking for some quirky jewellery. After a browse around we were so hungry it was time to stop for some lunch. We headed to Heavenly Desserts for lunch and we were actually super lucky to get a table when we did… just after we sat down there were people queuing to get in! Who knew dessert for lunch would be so popular?! Heavenly Desserts is new to Rushden Lakes, and they just do desserts, smoothies and drinks. We ordered a crêpe with strawberries & chocolate and some waffles! The menu has so many pictures of the desserts, which in some ways makes it harder to pick as there’s so much delicious choice! 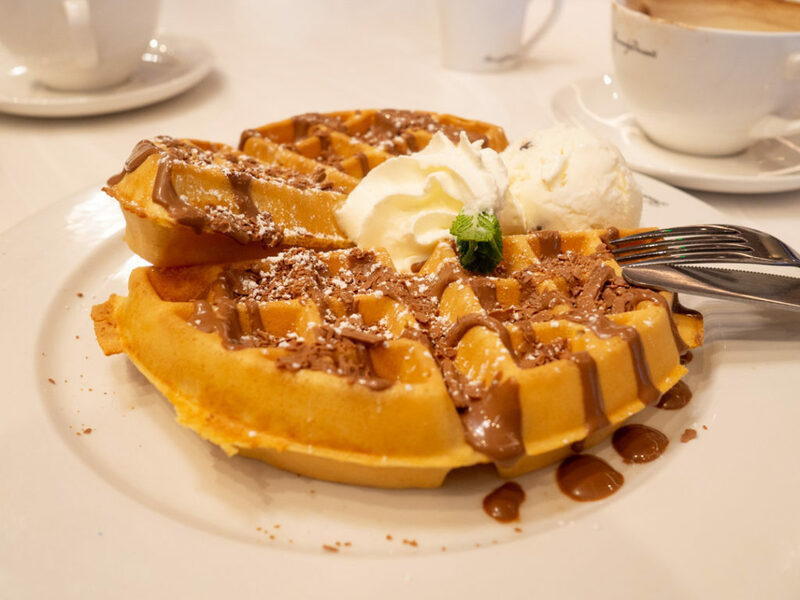 This is definitely the place to go if your mum/gran/aunty or whoever you celebrate Mother’s Day with has a sweet tooth! They’re also giving them a free drink on the weekend of the 30th/31st to celebrate Mother’s Day! Then it was time to finish looking around the shops. I also headed back to L’Occitane as I knew I needed to treat my mum to that body cream as it’s not something she would buy herself, and she’d been saying how soft her hands were after trying it! So if you’re looking for a gift this Mother’s Day then I’m sure you’ll be able to find one at Rushden Lakes. They have gifts for all budgets, and don’t forget to get a nice card too!! Also, why not go for a nice walk around the lake and some lunch while you’re there too! Thank you to Rushden Lakes! 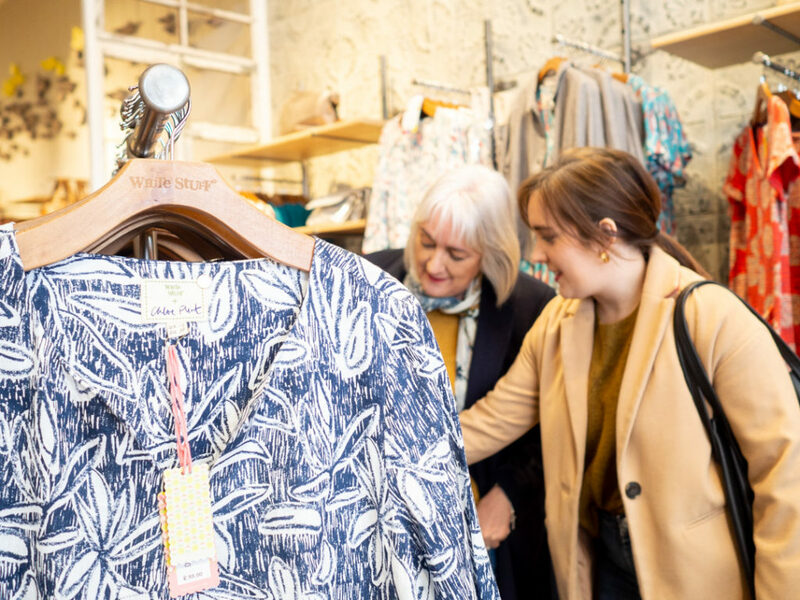 We had such a fab day out and enjoyed some really quality mother-daughter time together!